Using only the finest products in skincare, makeup, and hair styling products, Angie maintains the utmost standards in the quality of her work. The experience she has acquired varies from photo shoots, clothing line catalogs, fashion shows, and beauty pageants. 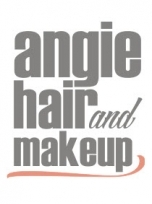 Angie\\\'s focus and specialty lies in bridal hair and makeup where her ultimate passion is to draw out the natural beauty of each and every one of her clients.